Our ability to build gifted performers is in large part due to our BYPC theatre programs. These Bedford, NH theatre classes complete the foundation needed to allow our students to shine on stage and be rewarded with immense satisfaction, and standing ovations! Combining musicality and movement with the important skills developed in performing and acting classes allows students at BYPC to be well-rounded and ready to play any role, whether it's simply for enjoyment, to pursue a career in the performing arts, or to gain confidence for any future experiences. Learn more about our theatre training and the many classes offered at our Bedford, NH performing arts school in this section, conveniently sorted by interest — learning the art of theatrical acting, and mastering musical theatre performances. Additionally, BYPC provides a variety of performance classles for preschoolers including our incredible Discovery Science for our young learners, Story Book Theatre and Preschool Performance and Acting. We're also proud to have the following unique components running through the core of our theatre program at BYPC, and showing you why it's the clear choice for anyone interested in the performing arts. Our BYPC theatre faculty is comprised of experienced instructors who specialize in acting, dance, and voice. They create a physically safe, supportive environment in which students engage in the challenge, fun, and rigor of skill building. Masterful at managing group dynamics, our instructors strive to bring out the best in each student while maintaining a non-competitive setting and a low teacher-student ratio. All of our teachers possess an arts and education background and professional performing experience. Additionally, special master classes and workshops taught by guest artists serve to broaden students' education. 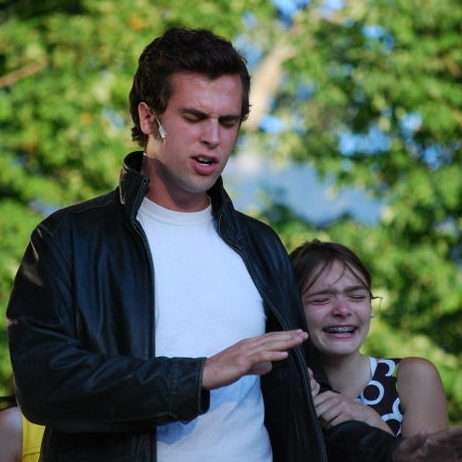 The theatre program at Bedford Youth Performing Company is based on the development of solid acting skills and proper performance techniques. Our overarching goal is to develop knowledgeable, confident, versatile performers in a healthy, safe, supportive setting. Our programs accommodate performers ages 3 to 18 and includes recreational classes as well as a special pre-professional track for older students considering theatre-related careers. Students learn skills, apply them in performances, and then go back to class to keep learning more! Our Bedford, NH studios are equipped with floating floors and topped with Marley surfaces to enhance performances and maximize our students' safety. Our faculty is knowledgeable and experienced in teaching theatre students how to sing, dance, and act using safe, proven techniques. We often study outside of our studio too by taking students to NYC and Boston to watch professional performances and to attend workshops. Numerous concerts, plays, musicals, and community outreach events held throughout the year give students a wide range of opportunities to engage and entertain audiences throughout southern New Hampshire. Participation in these events enables students to showcase their skills and become well-rounded performers. For our youngest performers, we recommend registering in our New Hampshire state certified Creative Kids Preschool. In the same location as our BYPC studio, our Bedford, NH preschool provides an imaginative environment and full arts-integrated curriculum to introduce students to theatre, music, dance, and so much more. At Creative Kids Preschool, we make pretend play even more fun!